Asbestos is a mineral fiber that has been commonly used in a variety of building construction materials for insulation and as a fire-retardant. EPA and CPSC have banned most asbestos products. Today, asbestos is most commonly found in older homes with popcorn ceilings, in pipe and furnace insulation materials, asbestos shingles, millboard, textured paints and other coating materials and floor tiles. Elevated concentrations of airborne asbestos can occur after cutting, sanding or other remodeling activities which disturbs asbestos containing materials. Improper attempts to remove these materials can release asbestos fibers into the air in homes, businesses and schools increasing asbestos levels and endangering people living and working in those homes or facilities. Asbestos was used in the manufacture of building materials since before the early 1900s. Asbestos is a natural occurring mineral that is mined. 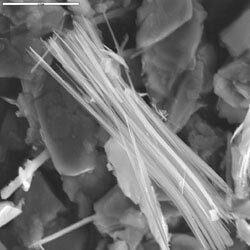 This unique mineral is composed of millions of microscopic fibers. The fiber like form and the composition of the fibers give asbestos its unique properties. The fibrous nature is useful in the manufacture of materials that need additional strength, insulation qualities, and/or resistance to fire and heat. Asbestos is found mostly in boiler rooms, industrial settings, and manufacturing facilities, however, asbestos was used in many residential, multi-family and commercial settings. Basically, no property is immune to the presence and effects of asbestos containing materials (ACM). The greatest risk (health and monetary cost) comes from the accidental or inappropriate disturbance of asbestos in occupied buildings. Usually it is best to leave asbestos material that is in good condition alone. Generally, material in good condition will not release asbestos fibers. There is no danger unless fibers are released into the air and inhaled into the lungs. Do not cut, rip, or sand asbestos-containing materials. Leave undamaged materials alone and, to the extent possible, prevent them from being damaged, disturbed, or touched. Check with local health, environmental, or other appropriate officials to find out about proper handling and disposal procedures or give Excel Environmental a call. If asbestos material is more than slightly damaged, or if you are going to make changes in your home that might disturb it, repair or removal by a professional like Excel Environmental is needed. Excel Environmental's personnel have performed asbestos abatement projects worth millions of dollars. We have the knowledge, expertise, and ability to provide professional, proper and honest asbestos abatement for you. Excel Environmental's professional personnel have worked with large General Contractors as well as individual homeowners and can provide insight and real solutions for all your upcoming or planned projects. 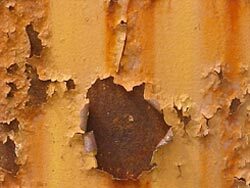 Lead-based paint is a major source of poor health issues and poisoning for children and can affect adults too. Even low levels of lead in children can result in disabling physical developments, learning disorders, behavior problems, and reduced attention span and a host of other medical issues. Lead can cause serious abnormal fetal development in pregnant women. You might have lead in and around your home without knowing it because you cannot see, taste or smell lead. Before the harmful effects of lead were fully known, lead was used in paint, gasoline, water pipes, solder, pottery, and many other products. As a result, you may have lead in the dust, paint, or soil in and around your home, or in your drinking water or food. Because lead does not break down naturally it can remain a problem until removed. The greatest threat is breathing or ingesting dust from lead-based paint as it wears and disintegrates over time. There is an important distinction between the presence of lead-based paint and a lead-paint hazard. The latter poses an immediate threat, while lead-based paint in good condition might pose a hazard some time in the future. For this reason, HUD defined a detailed procedure that involves analyzing many painted surfaces in the home, evaluating the condition of paint, and measuring lead dust concentrations. A risk assessment conducted by a qualified professional will tell you if there are any sources of serious lead exposure and what actions to take. If you think you might have lead in and around your home or place of business, give Excel Environmental a call, we will work with you to evaluate the situation, and create an affordable corrective action plan. Molds are part of the natural environment and are considered ubiquitous, or are virtually everywhere. In outdoor environments, molds play an important part in nature by breaking down dead organic matter such as fallen leaves and dead trees, but indoors, mold growth should be avoided. Molds reproduce tiny spores; the spores are mostly invisible to the naked eye and float through outdoor and indoor air. Mold may begin growing when mold spores land on surfaces that are food sources and there is moisture present. There are many types of mold, and none of them will grow without the right temperatures, moisture and a food source, much like wood and paper. Molds gradually destroy or breakdown the things they grow on. You can prevent damage to your home and furnishings, save money, and avoid potential health problems by controlling moisture and eliminating mold growth. It is impossible to get rid of all mold and mold spores indoors; some mold spores will be found floating through the air and in house dust or on your clothes. The mold spores will not grow if moisture is not present. Indoor mold growth can and should be prevented or controlled by controlling moisture indoors. If there is mold growth in your home, you need clean up or kill the mold without spreading the mold spores throughout your indoor air environment and fix the moisture intrusion issue. 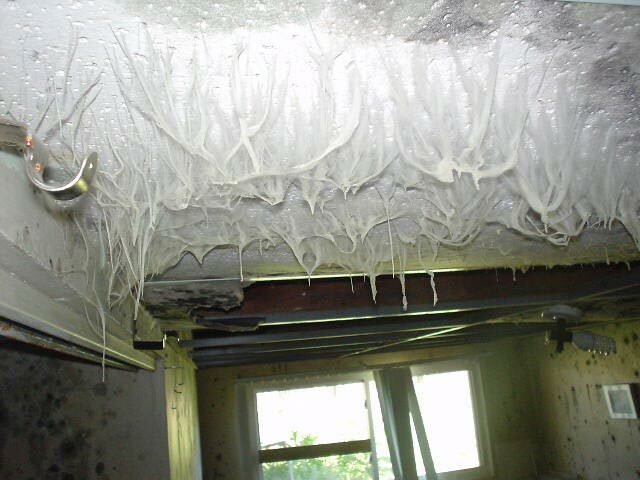 If you clean up the mold, but don't fix the moisture issue, then most likely the mold will regrow. While some Molds are usually not a problem indoors, when certain mold spores land on a wet or damp spot and begin growing, the spores can cause allergic reactions to some people. Molds produce allergens (substances that can cause allergic reactions), irritants, and in some cases, potentially toxic substances (mycotoxins). Inhaling or touching and spreading mold or mold spores may cause harmful allergic reactions in sensitive individuals. Allergic responses include hay fever-type symptoms, such as sneezing, runny nose, red eyes, and skin rash (dermatitis). Allergic reactions to mold are common. They can be immediate or delayed. Molds can also cause asthma attacks in people with asthma who are allergic to mold. In addition, mold exposure can irritate the eyes, skin, nose, throat, and lungs of both mold-allergic and non-allergic people. Symptoms other than the allergic and irritant types are not commonly reported as a result of inhaling mold. Research on mold and health effects is ongoing. Excel Environmental can provide you with a brief overview to help you understand or describe all the potential health effects related to mold exposure. For more detailed information consult a health or environmental professional like Excel Environmental. You may also wish to consult your state or local health department. Excel has a great deal of expertise and performs clean-up and mitigation services for HazMat or chemical spills, Meth Lab clean-up, Animal Deterrent and clean-up, removal of PCB's and many other environmentally hazardous materials and situations. If you have questions, give us a call. We can answer your questions and help you through resolution. Excel Environmental's personnel have expertise in performing all of the environmental services described above. All our personnel are certified and experienced in all our environmental services and trades. We have the knowledge, expertise, and ability to provide professional, proper and honest environmental assessment, investigation, abatement and mitigation services for your home or business. Excel Environmental personnel have worked with large General Contractors as well as individual homeowners and can provide insight for all your upcoming or planned projects and service needs.